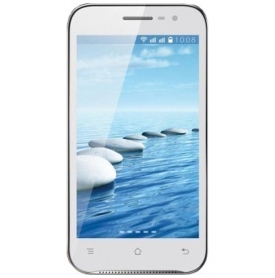 Buy Spice Mi-505 Stellar Horizon Pro at lowest price of Rs. 6,399 from Flipkart. Spice Mi-505 Stellar Horizon Pro - Buy Spice Mi-505 Stellar Horizon Pro phone at a lowest price of Rs. 6399 in India on April 22, 2019. Compare and Buy Spice Mi-505 Stellar Horizon Pro at cheapest price from online stores in India. - 2.0 out of 5 based on 5 user reviews. Spice Mi-505 Stellar Horizon Pro Price List List of online stores in India with price, shipping time and availability information where Spice Mi-505 Stellar Horizon Pro is listed. Price of Spice Mi-505 Stellar Horizon Pro in the above table are in Indian Rupees. The Spice Mi-505 Stellar Horizon Pro is available at Flipkart, Saholic. The lowest price of Spice Mi-505 Stellar Horizon Pro is Rs. 6,399 at Flipkart.